In theory and principle, nobody is above the law in Canada. However in fact and in practice the reality is quite different at least for certain individuals. Consider this. The Canadian Judge-Advocate General (JAG), Major-General Blaise Cathcart, failed to comply with his statutory obligation to file with Parliament and the Senate through the Minister of National Defence an annual report on his administration of military justice: see ss.9.3(2) of the National Defence Act (NDA). Not only did he fail to comply with his obligation in 2012, he reoffended in 2013 and 2014. Mr. Jack Harris: Does it bother you that we don’t have reports for 2012, 2013, 2014, and we’re relying on a report that’s now three years old? Gen Thomas Lawson: I have the Judge Advocate General with me, who can update you. Mr. Jack Harris: General Cathcart, you will note from my questions that I have a concern about reporting. General Lawson seems to indicate that the reports for 2012, 2013, and 2014, have been filed either with him or with the Minister which would mean that the minister hasn’t tabled them. Where exactly are those reports at the moment? Will they be tabled in the House as required by the statute? MGen Blaise Cathcart: Thank you for that question. I was confused about the question and the response. If you’re talking about the Annual Reports that I’m responsible for as Judge Advocate General they are not with the Minister. Those are my reports. They are still being worked on and they’re close to completion. I take the full responsibility for not meeting the timeline as set out to do it on an annual basis. I can go into great detail as to reasons why. The short answer is that there were many other equal military justice priorities, not the least of which you’re familiar with, Mr. Harris, dealing with legislation such as Bill C-15. As expected there were isolated outcries but not much more. A few TV appearances to denounce the failure, but nothing ensued. Not long thereafter it was business as usual. No charges for the statutory violations of the Act were laid. No administrative sanctions whatsoever were taken against the JAG for blatantly failing to meet his statutory obligations towards the Minister and Parliament. Recently, Global Television News channel, with indubitable evidence to support its allegations, reported that the JAG stealthily wrote to the late Chief Justice of the Court Martial Appeal Court of Canada to complain about a judge’s description of the state of military law in Canada. The JAG’S allegations were that the appellate judge might not be impartial if he were still assigned to sit on military cases. He also threatened to lay a complaint against the judge before the Judicial Council. The JAG’s covert letter could be seen either as an attempt to interfere with the administration of justice or a threat to bring into the limelight the impugned judge, the Court Martial Appeal Court and the Chief Justice. However the allegations were not only wrong and exaggerated but were also based on erroneous, incomplete and manipulated facts. Moreover the procedure followed by the JAG was highly improper as the Chief Justice pointed out to him in his reply to his letter. If the JAG had reasons to believe that the judge might not be impartial, he needed to raise it in open court by way of a motion to challenge. Again no administrative or legal sanctions were taken against the JAG. Why and how come? Isn’t his conduct a conduct prejudicial to good order and discipline as forbidden by s.129 of the Act? Isn’t his conduct unbecoming of an officer contrary to s.92 of the Act? At the very least, it should be cause for concern for his licensing body and his immediate boss, the Minister of National Defence. In matters involving the prosecution of violations of the Criminal Code of Canada, as a general rule the Federal Attorney General and the Director of Public Prosecutions as well as the provincial Attorneys General have given up their role as ultimate guardian of the public peace and interest when crimes are committed by members of the military. Occasionally, a curve is thrown for the left field by a provincial Attorney General or the Directors of Public Prosecutions to remind us of their existence. But that is the extent of their involvement. In the absence of a prosecution by the Attorneys General or the Directors of Public Prosecutions, what about charges laid under the NDA by the Director of Military Prosecutions and his Prosecution Service? Unfortunately you cannot count on them to do that. Why can they not initiate a prosecution against the JAG? The reason is very simple. They are simply not independent from the chain of command. Far from it. They act under the supervision of the JAG who is the head of the Legal Branch which groups all JAG lawyers as well as the legal chain of command. Their pay increase depends on the assessment of their performance by the JAG. They also depend on the JAG for their promotions, assignments and postings. This set-up certainly casts a dark shadow over a required independent exercise of prosecutorial discretion in the enforcement of ordinary criminal law offences. Truth be told, there is something wrong in the kingdom of Canadian military justice. The Supreme Court of Canada is given the opportunity to restore justice in the coming cases of Moriarity, Arsenault and Vezina to be heard in this coming month of May. The investigation, enforcement and prosecution of ordinary criminal law offences should go back to civilian authorities and civilian tribunals where the members of the Forces or the civilians tried by military tribunals would not be deprived of the right to a jury trial, the benefit of a prosecution and a trial independent from the chain of command and be subject to a pretense of justice called summary trials with a criminal record as a premium. In conclusion, it bears repeating the sage words of then Brigadier-General W.J. Lawson who in 1951 reminded that “It is important that lawyers practicing in this field should appreciate that military law is not, as many seem to think, a code of law separate and apart from ordinary law. It is an integral part of the law of the land based on the same fundamental principles of justice and giving the same protection to an accused as our civil law.” These far-sighted words written over half a century ago warned against any form of segregation, demarcation or isolation between military law and ordinary law. This advice is just as applicable today as it was back then. But is the JAG listening? Isn’t the answer to this question found in his indifference to his legal obligations? To put the question is to answer it. Occupying the most senior position in the administration of military justice in Canada and entrusted with the administration of military law and the dispension of both criminal and administrative justice within the military establishment, more than anyone else, Major General Cathcart understands the law and his corresponding onerous duty to do nothing that either destroy or weaken public confidence in legal institutions or authorities by inappropriate or impermissible actions. He also plays a leading role and influence in the day-to-day military decision-making, including those made by the Director of Military Prosecutions and Director of Defence Counsel Services over which he exercises day-to-day supervision and career management stewardship. 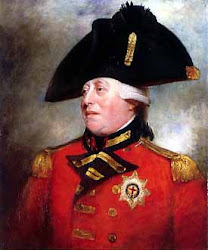 I am therefore deeply troubled by these transgressions committed by someone who not only holds such unparalled power over the course of the Canadian military justice system but who first and foremost holds a commission from Her Majesty the Queen by which she reposed in him special trust and confidence in his Loyalty, Courage, Honour and Good Conduct. In the meanwhile, I have written separately to both the Chief of the Defence Staff, General Thomas Lawson, and the Minister of National Defence, the Honorable Jason Kenney, P.C., M.P. noting that given such transgressions, I cannot see how Major-General Catchart can possibly continue as the Judge Advocate General. But if he does, however, I would welcome an opportunity to raise the matter with him in late April during his luncheon address at The Albany Club (which advertises itself as the last political club in Canada) in Toronto. As a recently retired senior JAG officer, retired Justice Letourneau’s comments leave me starved for objective analysis, not searching for justice. Retired Justice Letourneau concludes that the Judge Advocate General “…failed to comply with his statutory obligation to file with Parliament and the Senate through the Minister of National Defence an annual report…”. In support of this unequivocal conclusion he cites subsection 9.3(2) of the National Defence Act (NDA), which does indeed provide that “The Judge Advocate General shall report annually to the Minister on the administration of military justice in the Canadian Forces”. What retired Justice Letourneau fails to note is that subsection 9.3(2) is only one of six different sections within the National Defence Act that requires actors to report (See NDA s18.6, ss 29.28(1), ss 227.171(1), ss 250.17(1) and ss 273.63(3)). Of these six provisions, subsection 9.3(2) is unique. Every other section establishing a reporting obligation defines the reporting period (either a calendar year or fiscal year), and prescribes a time period for submission of the report upon completion of that period. Subsection 9.3(2) does neither. While not addressed by retired Justice Letourneau, yet alone analyzed, it would appear that the JAG’s stated view that Parliament has provided the flexibility to prioritize annual reporting is not devoid of validity. Similarly, retired Justice Letourneau concludes that the JAG’s letter expressing concerns to the late Chief Justice of the Court Martial Appeal Court with respect to the public comments of a sitting judge were “stealthy”, “covert” and “highly improper”. On what facts and analysis is this characterization based? The news report cited does not indicate that there was anything covert about the letter, and reaches no such conclusion. Similarly, the published response of the late Chief Justice says nothing of the kind. Might it not be appropriate for the JAG, whom Parliament has made responsible for superintendence of the administration of military justice in the Canadian Forces, to be actively engaged in ensuring judicial proceedings within the system are conducted by tribunals that are in fact and perception independent and impartial? As a matter of clarification, the Director of Military Prosecutions (DMP) is independent in the exercise of prosecutorial discretion in the Canadian military justice system (see NDA sections 165.1–165.17). Furthermore, military prosecutors are not charge laying authorities. Designated personnel within the chain of command and military police personnel assigned to the Canadian Forces National Investigation Service are the sole charge laying authorities within the system. The NDA establishes a similar framework to provide for the independence of the Director of Defence Counsel Services in the provision of prescribed legal services (NDA sections 249.18-249.21). It is disappointing, particularly in a forum dedicated to the law, that the inclusion of objective analysis to support conclusions appears to have been deemed unnecessary. But then, perhaps this is not so surprising when one realizes that retired Justice Letourneau was the subject of the letter the JAG wrote to the late Chief Justice of the Court Martial Appeal Court of Canada. Is this an omitted piece of information that might have been relevant to the reader of retired Justice Letourneau’s comments? To borrow a phrase, to put the question is to answer it. 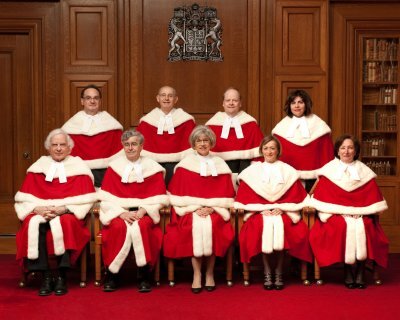 Fortunately, as the Supreme Court of Canada prepares to hear a number of military justice cases, the independent and impartial learned Justices of that court will have the benefit of hearing reasoned and objective arguments on both sides of the issues before them. We can look forward to an even stronger Canadian military justice system regardless of the outcome. Ref comments of Patrick Gleeson above. Whatever may be the points and counter-points, merits or demerits of the issue raised above by the retired Justice and by you, what is striking is the tone and tenor of the JAG in replying to a Parliamentary committee. The same response to a committee related to a legislative body, in my humble opinion, should have been a bit mild and not this sharp. Also, whatever may be the background, writing a letter directly to the Chief Justice regarding the fairness of a Judge also does not meet the legitimately expected norms. Such objections need to be placed on record in the proceedings and debated and argued in the open court or in accordance with statutory provisions and not in a manner that short-circuits the system by the backdoor. But Canada being a vibrant and strong democracy, I am sure the issues raised via both viewpoints above would only lead to a stronger judicial system which meets the expectations of those we are all bound to serve. Surely by reason of education, opportunity and experience alone, Major-General Cathcart, the now JAG, should be exceptionally well qualified to know and recognize that under the Judges Act, R.S.C. 1985 c. J-1, [http://laws-lois.justice.gc.ca/eng/acts/J-1/FullText.html], any and all complaints against federal judges are to be addressed to the Canadian Judicial Council [https://www.cjc-ccm.gc.ca/english/index_en.asp] for investigation. There are powerful reasons as to why this procedure exists and it does not contemplate or permit the submission of complaint behind a judge’s back to a Chief Justice. Occupying the most senior position in the administration of military justice in Canada and entrusted with the administration of military law and the dispension of both criminal and administrative justice within the military establishment, more than anyone else, as general counsel, Major General Cathcart understands the law and his corresponding onerous duty to do nothing that either destroy or weaken public confidence in legal institutions or authorities by inappropriate or impermissible actions. The procedure chosen by him circumvented the established system for advancing such complaints and in doing so it offended the provisions of the Judges Act and marred the prestige and dignity of the appellate court. It was therefore inappropriate for the JAG be “actively engaged” in such a manner. Perhaps not surprisingly Mr. Drapeau and I will have to agree to disagree. The JAG is tasked with a number of roles and functions by Parliament. Acting as legal adviser to the Governor General, the Minister, the Department and the Canadian Forces in matters relating to military law is one role. Another is superintendence of the administration of military justice in the Canadian Forces. Circumstances that may impact upon the actual or perceived fairness and independence of tribunals and courts operating within the military justice system fall within the scope of the superintendence role. To raise such a concern, in writing, with the Chief Justice of the Court Martial Appeal Court is neither contrary to the rule of law nor inconsistent with the formal judicial complaint process. This is far more serious than a disagreement, Mr. Gleeson. It goes against the foundational principles for democratic control over the military and respect for the rule of law in a democracy. The JAG may well be trusted with the superintendence of the administration of the military justice but this does not give him plenipotentiary martial powers placing him above the ordinary law of the land. It does not give him a special wand to pick and choose which laws he would respect and which ones he would ignore. Not in my Canada! Repeating myself for emphasis, the JAG does not have carte blanche to ignore a statute any statute including the Judges Act, which compels him- and the rest of us - to submit his complaint against a judge to the Canadian Judicial Council. To do otherwise, as he has done, is in breach of the law. For someone of his rank, background, training, experience and standing this is both serious and very disturbing. As I say, this is not a simple disagreement it goes to the very essence of our democratic legal regime. I am astonished to realize we have such a fundamental disconnect. I can only conclude that this disconnect must form the basis of several other major critical structural problems in the administration of the Canadian military justice system. My god. Simply put, while the Judges Act provides for a complaint process, it does not prohibit one from raising a concern in the manner that was reportedly pursued in this case (in writing to the responsible Chief Justice of the Court). Me thinks my learned friend is abusing the privilege of splitting hairs. I, for one could not for a moment mutilate the majesty of the law nor contravene the avoirdupois of my oath as a barrister and solicitor which includes the following solemn affirmations: “I shall seek to improve the administration of justice. I shall seek to champion the rule of law and safeguards the rights and freedoms of all persons. I shall strictly observe and uphold the ethical standards that govern my profession” to justify such a radical and audacious action as espousing the privilege to decide which laws to respect and which laws to ignore. Writing ex parte to the Chief Justice, Court Martial Appeal Court, to complain against a sitting judge is against the law in Canada. Also, in the Canadian democracy, the grant of Her Majesty’s Commission to an officer, vesting a person with a military rank or trusting him with the duties such as the superintendence of the administration of the military justice does not him give that person refuge or sanctuary from the law or permits him doing things the law forbids or exercising powers the law has not given him. As I disengage from this discussion, I return to my original message. There is little, if any, analysis to support the allegations of misconduct made by retired Justice Letourneau in his original comments and pursued by Mr. Drapeau. Raising a concern in a written document that is subject to federal record keeping and access rules with a member of the judicial executive (in this case, the Chief Justice of the Court Martial Appeal Court) regarding public comments that might impact on the Court, is neither “covert”, nor “improper conduct”. A written expression of concern is not unlawful or inconsistent with the law and, as a result does not raise the question of respect for the rule of law. Raising a concern in writing is not unethical or inconsistent with the Judge Advocate General’s professional obligations. Finally, raising those concerns in writing does not violate the obligations and responsibilities imposed upon a member of the profession of arms who has been extended the privilege of holding a commission in the Canadian Armed Forces. Despite this, Mr. Drapeau insists that “…[the JAG] is in breach of the law. … this is both serious and very disturbing.” (see his April 4 post above) and he again concludes on April 6 that “Writing ex parte to the Chief Justice, Court Martial Appeal Court, to complain against a sitting judge is against the law in Canada.” . Presumably it is Mr. Drapeau’s opinion of unlawfulness that leads to his dramatic statement that a written expression of concern “goes against the foundational principles for democratic control over the military and respect for the rule of law in a democracy.”. Interestingly neither the Chief Justice himself nor retired Justice Letourneau raised this as an issue in the original correspondence that has been made available on the news site which reported this story (see http://globalnews.ca/news/1878846/suggesting-charter-rights-for-military-puts-judge-in-dnds-crosshairs/). I note that Mr. Drapeau reports that he has written to both the Chief of the Defence Staff and the Minister of National Defence (see his April 2 post above) where he reportedly notes “…that given such transgressions, I cannot see how Major-General Cathart (sp) can possibly continue as the Judge Advocate General.”. It seems rather ironic that Mr. Drapeau has chosen to engage the Judge Advocate General’s clients to advance his conclusions of misconduct. There is a legislated complaint process that exists in every Canadian jurisdiction to receive, investigate, and resolve complaints against members of the legal profession. The Editor respectfully suggests that this string may now be concluded. This is obviously a contentious issue and it is to be hoped that the open forum this blog has provided will encourage those with an interest in the proper administration of justice within the armed forces to continue to follow Global Military Justice Reform and share their views through the Comment feature (using their real names, please, as always). UN operations compromised by sexual exploitation? Three more PLA generals slated for prosecution? Speedy trial in Ireland -- not! "Scarcely passes the laugh test"
Not military justice reform, but . . .
What's the proper sentence for this case? Did Pakistan's ruling party do what it promised?